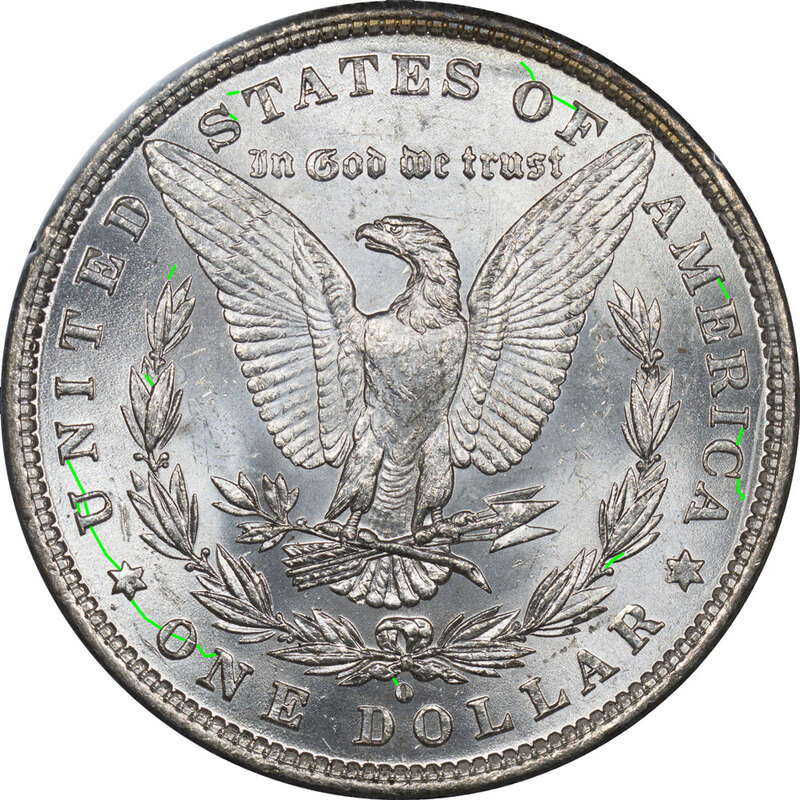 Below is a list of each identified reverse die together with images illustrating cracks and breaks on the most extreme examples in our collection. 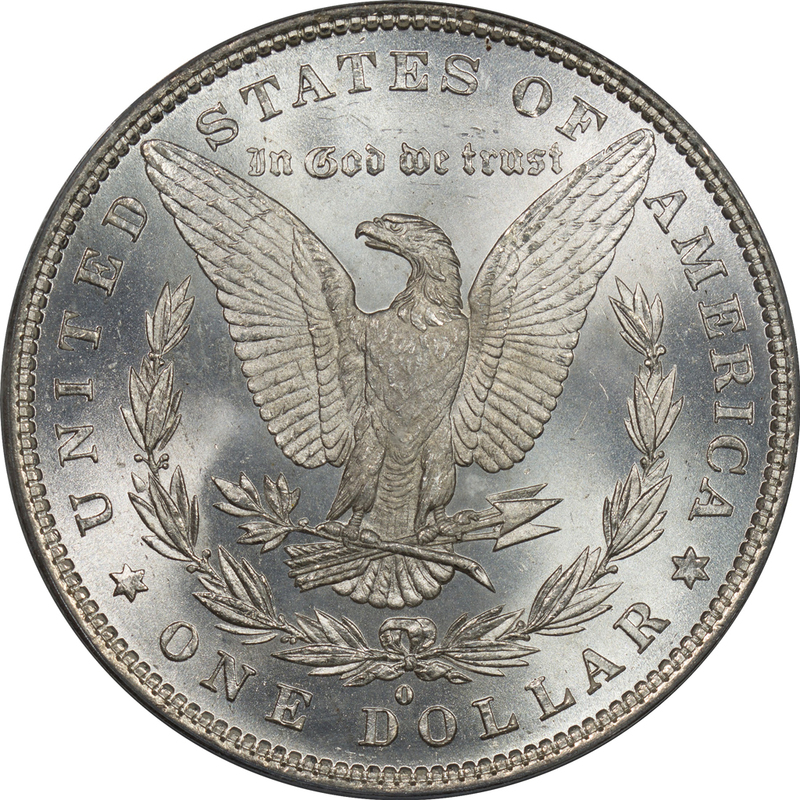 You can then follow those links to the die page for a more detailed discussion on that die. 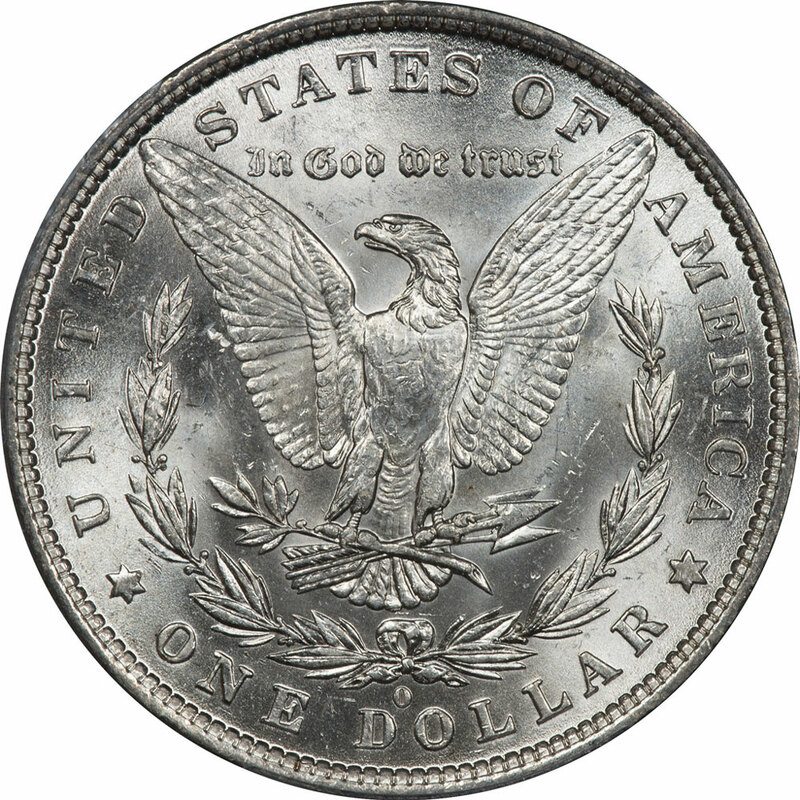 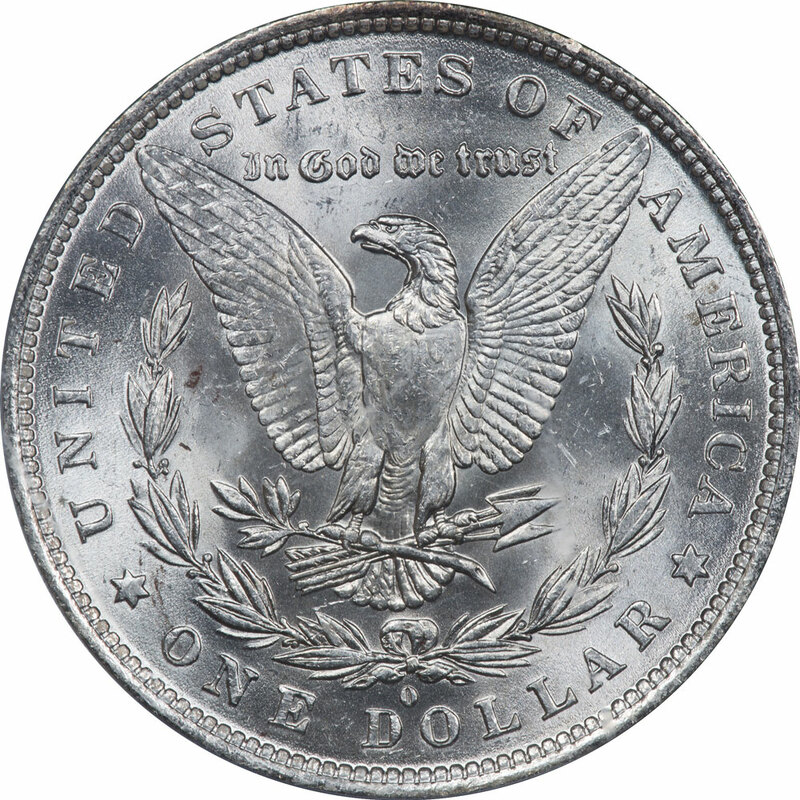 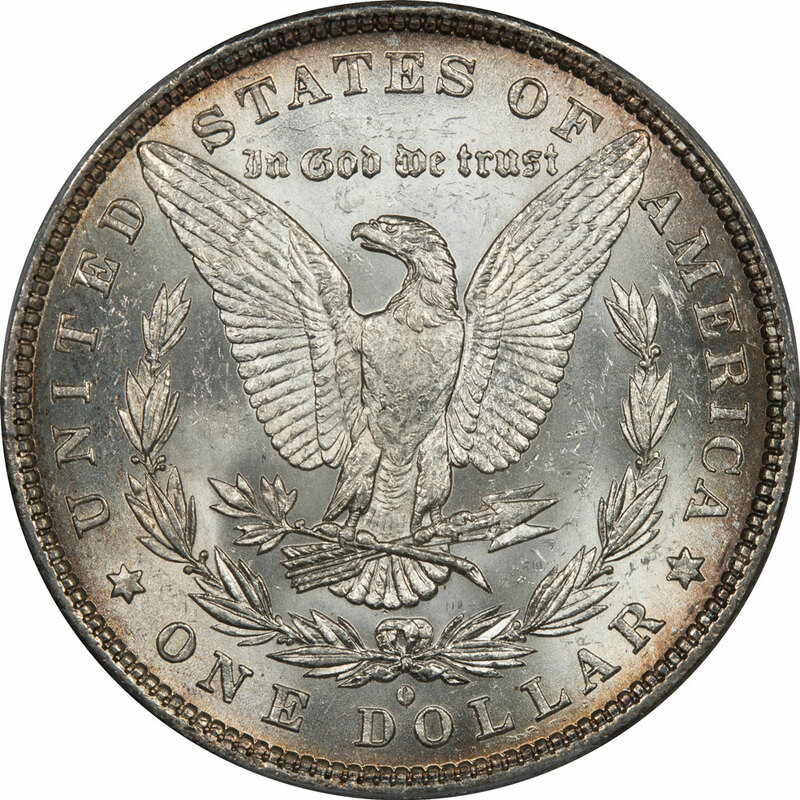 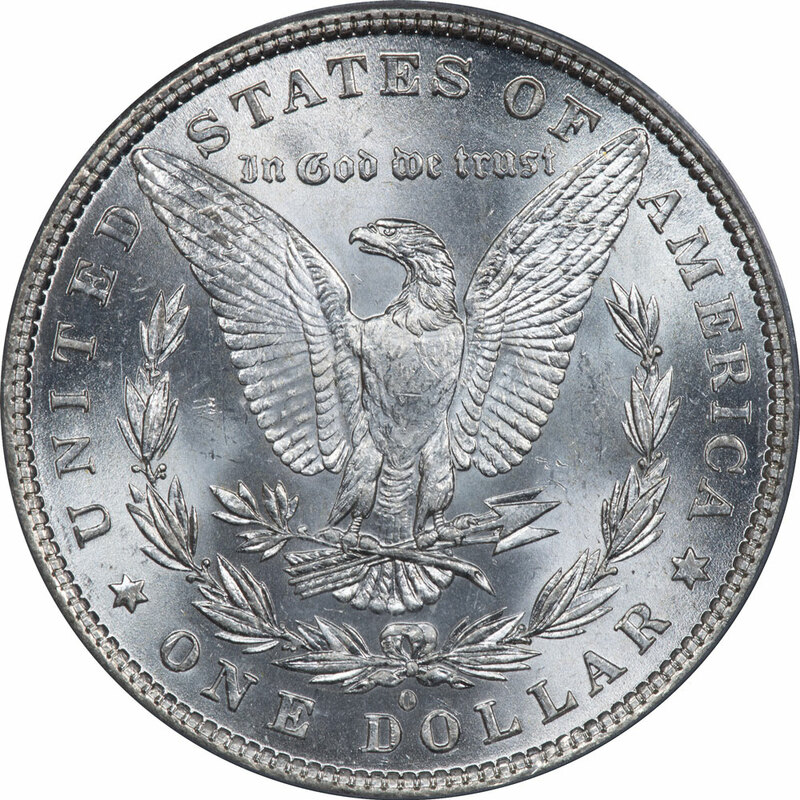 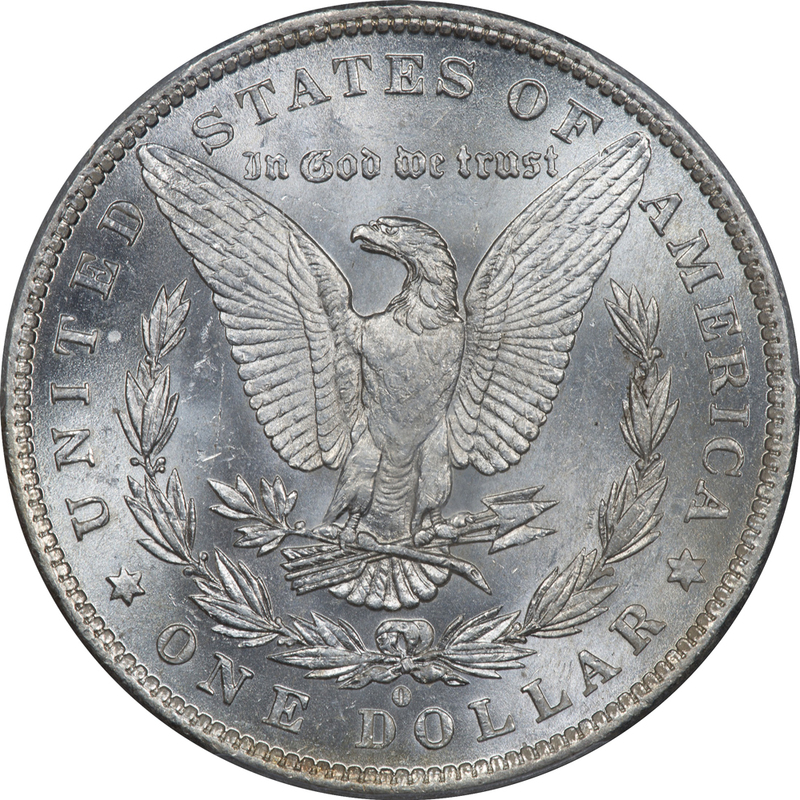 Dies that show no cracks on coins in our inventory are also noted and can be followed to their respective die pages. 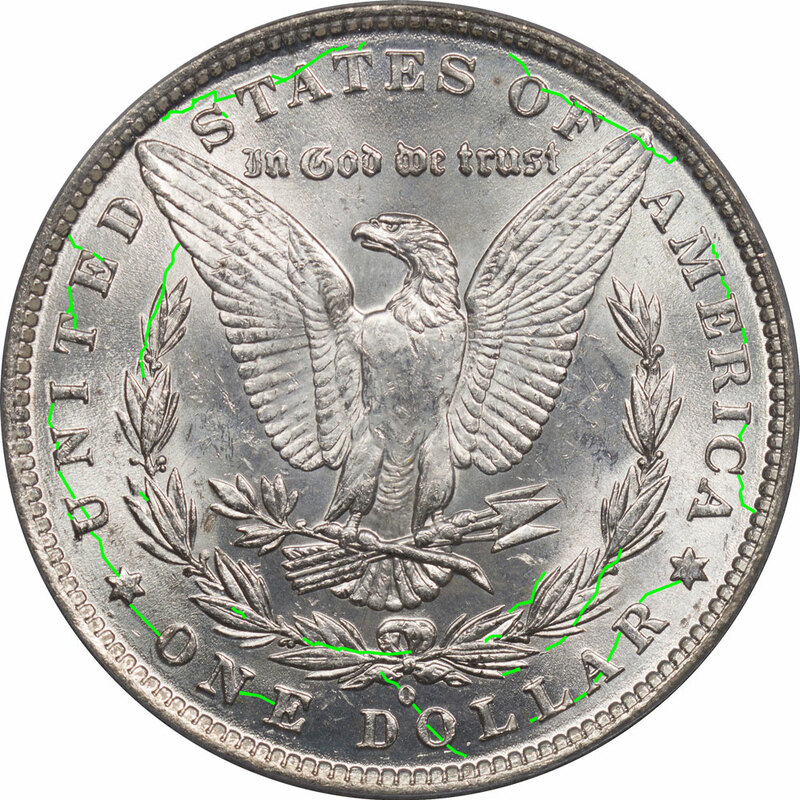 To see the detail of all VAMs with a Reverse Die a designation click the arrow to the right. 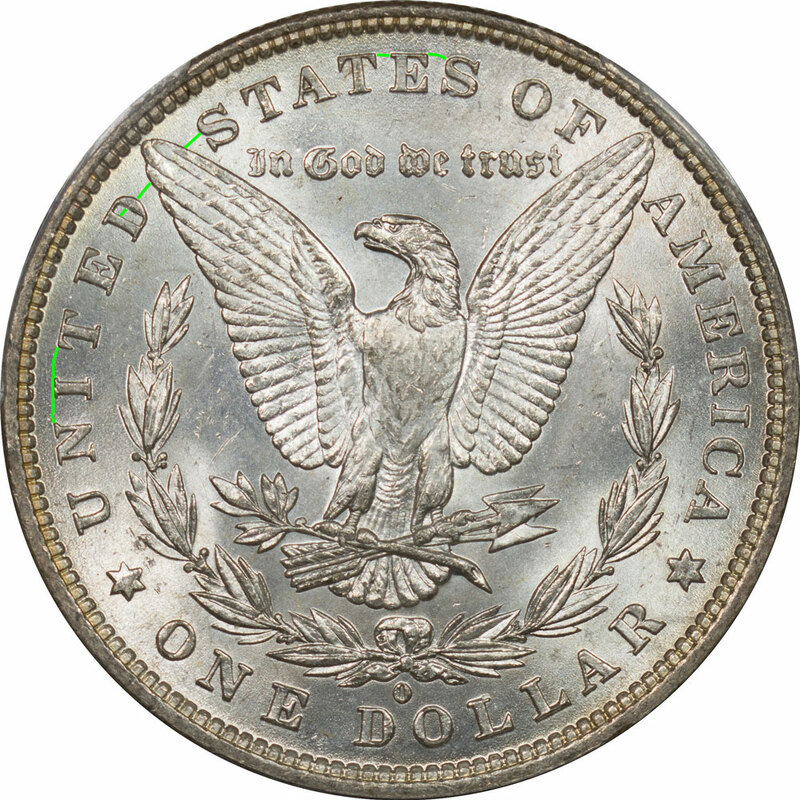 Reverse Die e appears on VAMs 7 and 45. 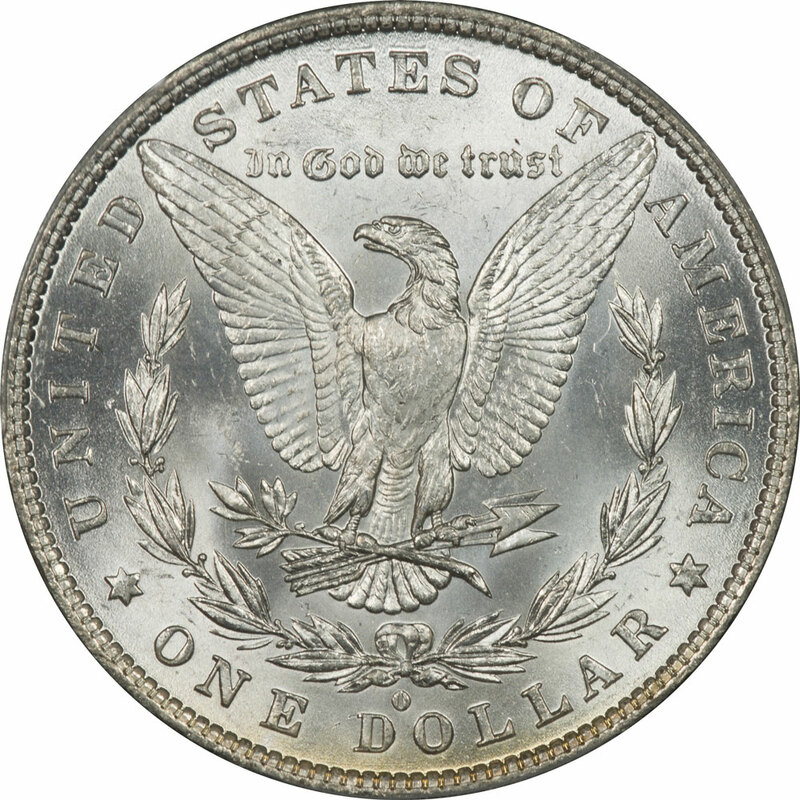 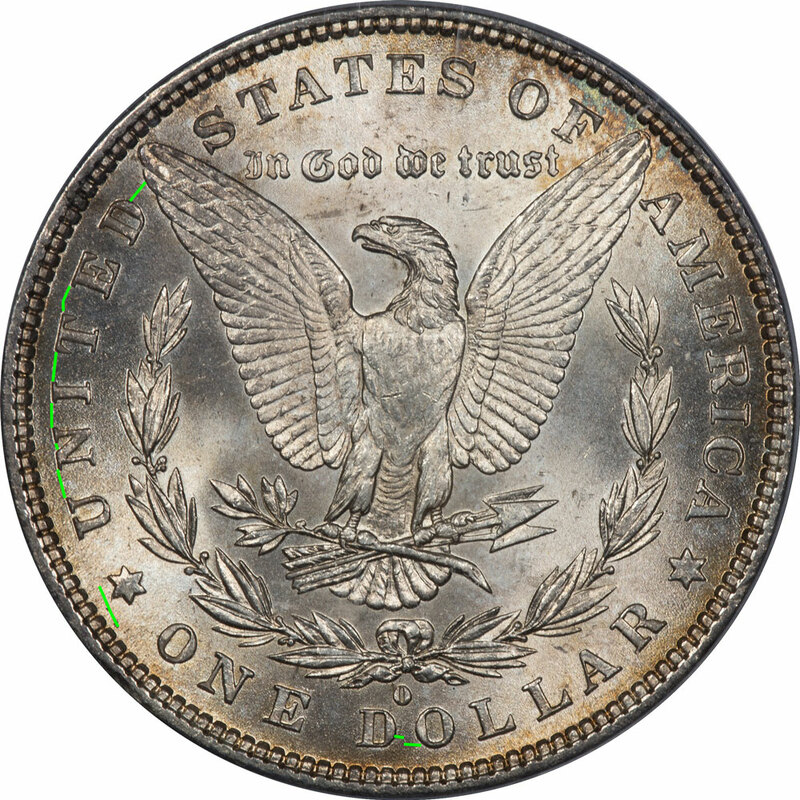 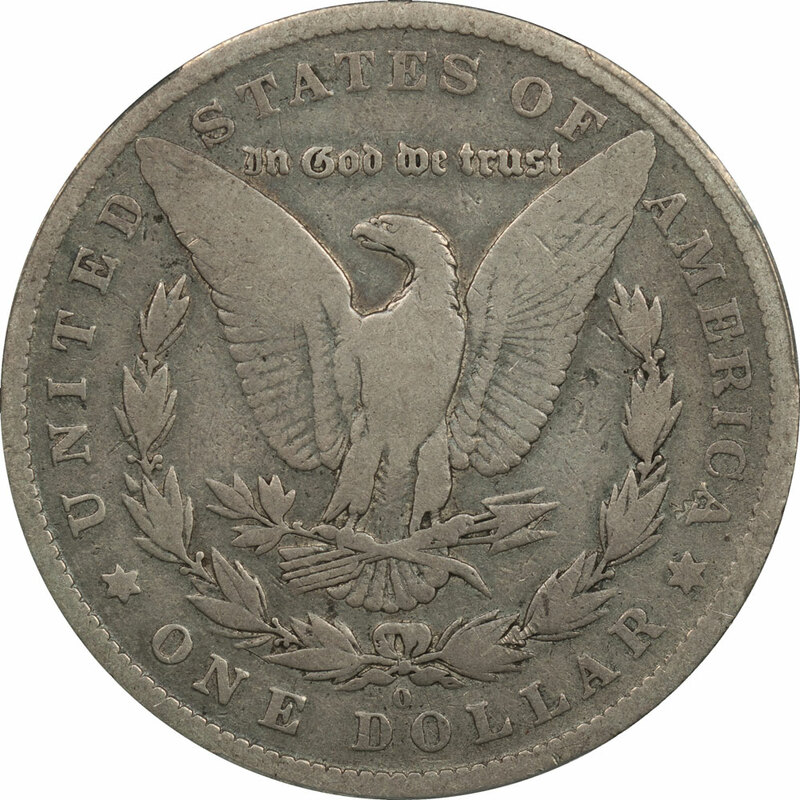 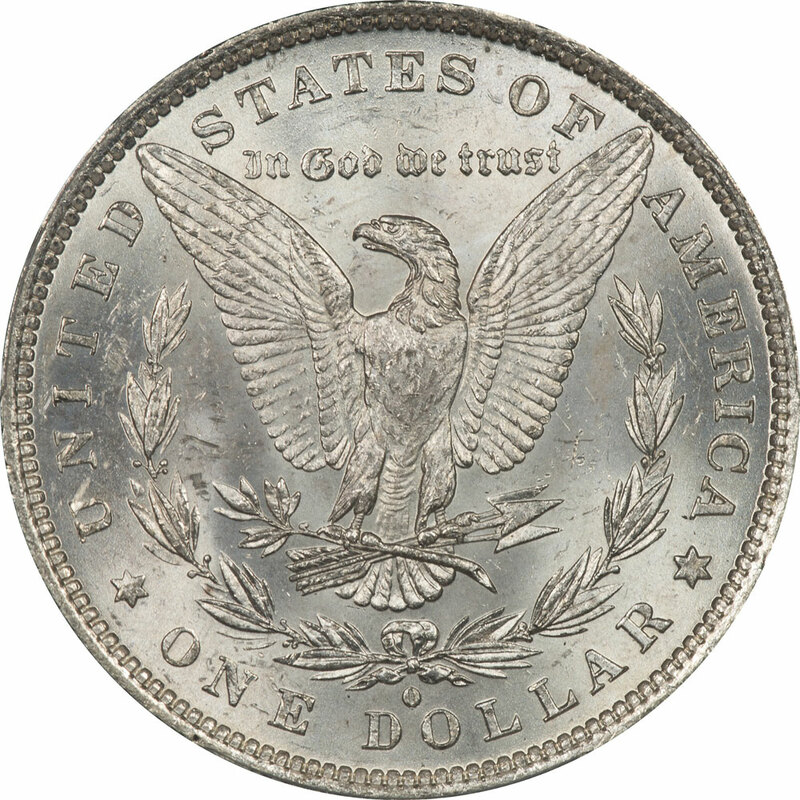 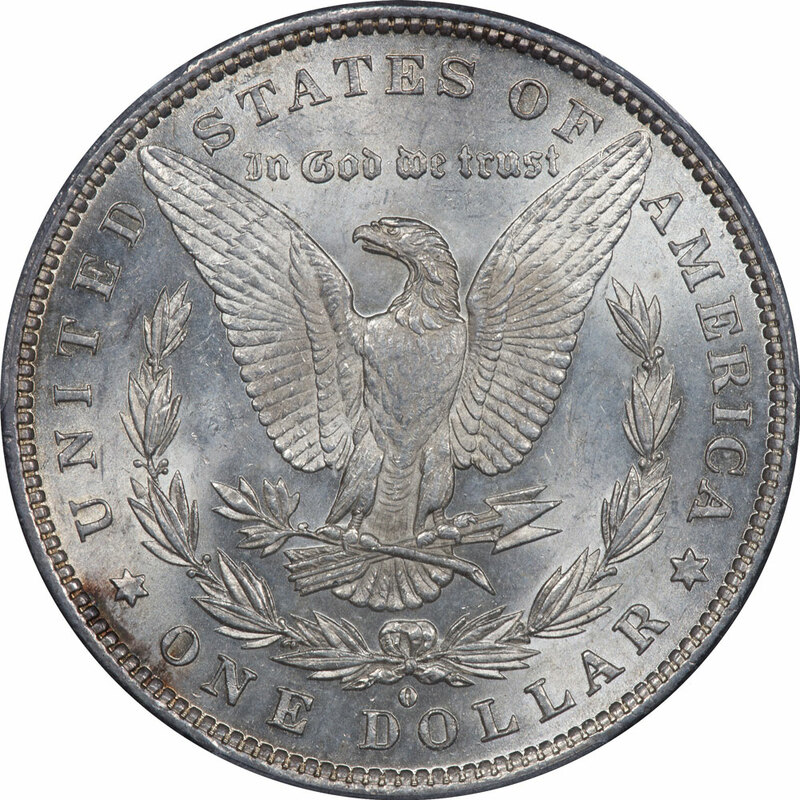 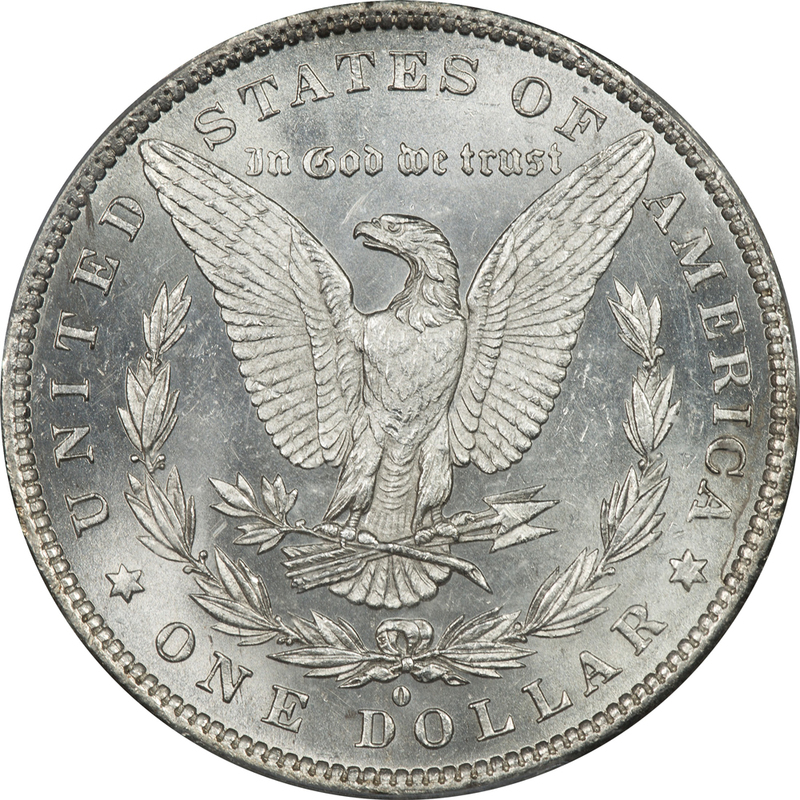 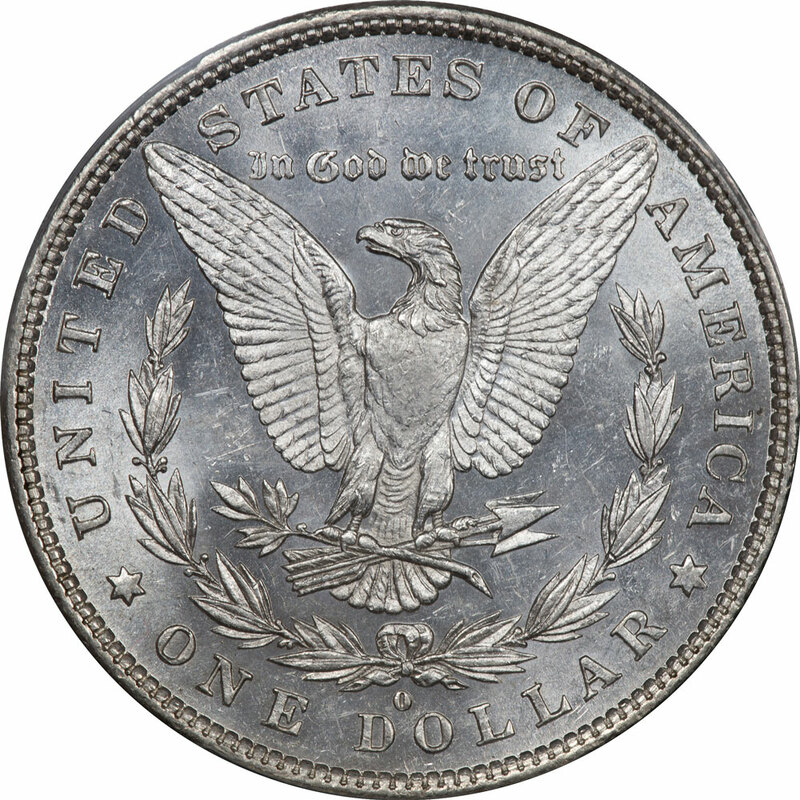 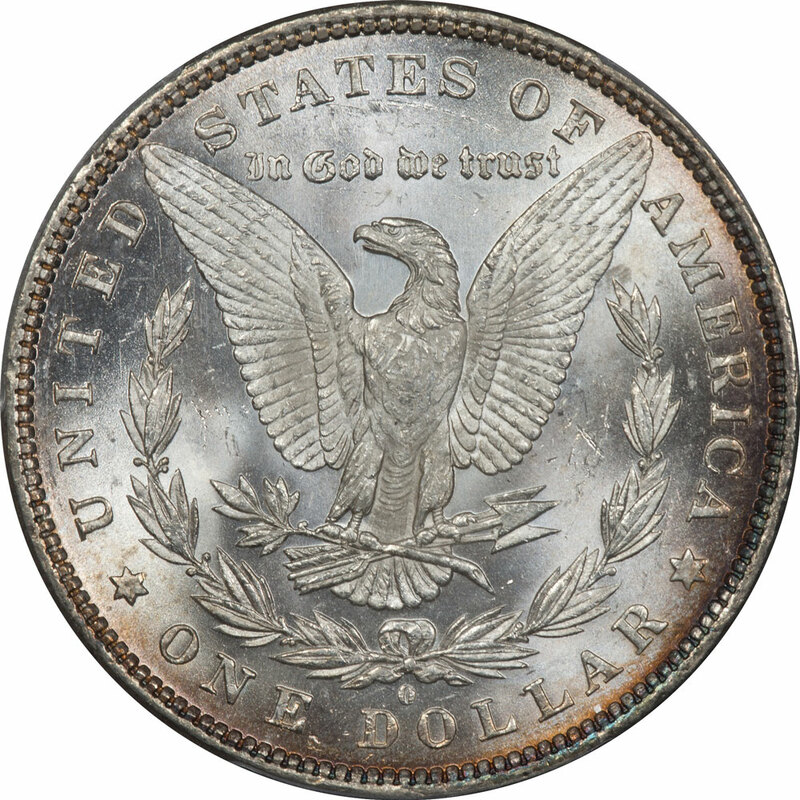 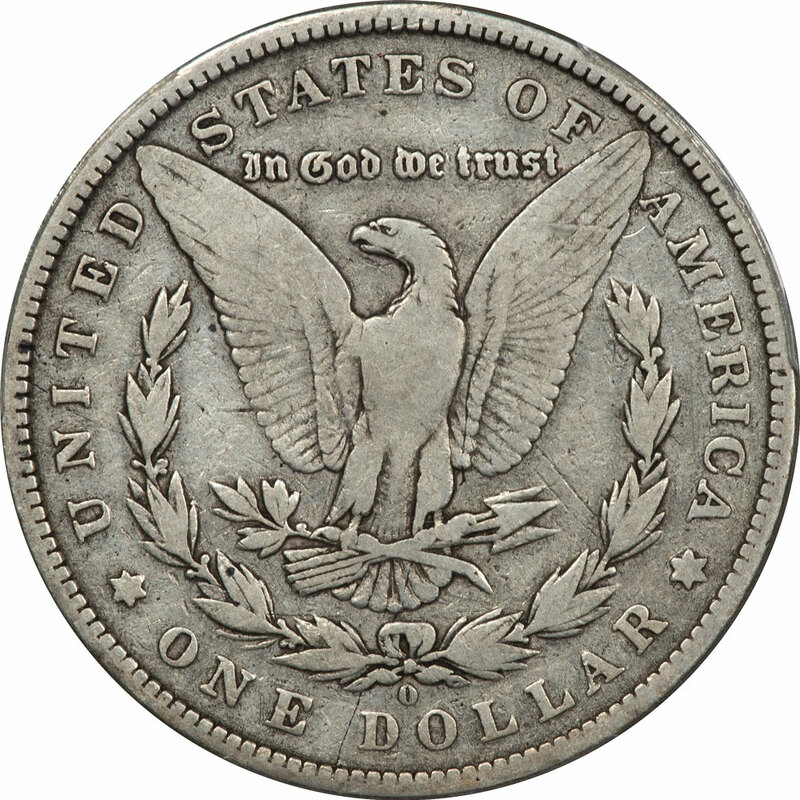 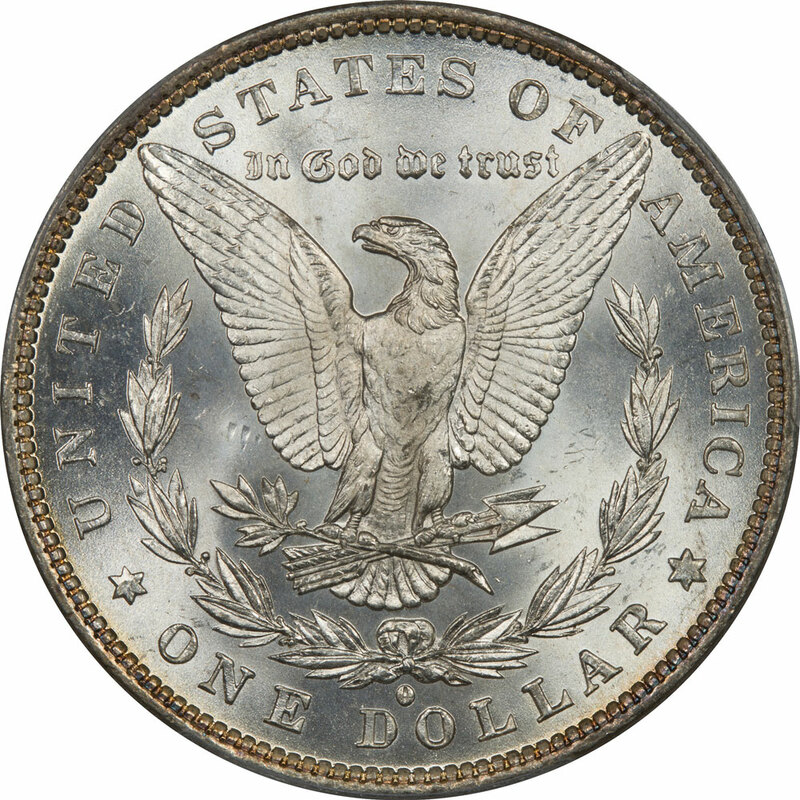 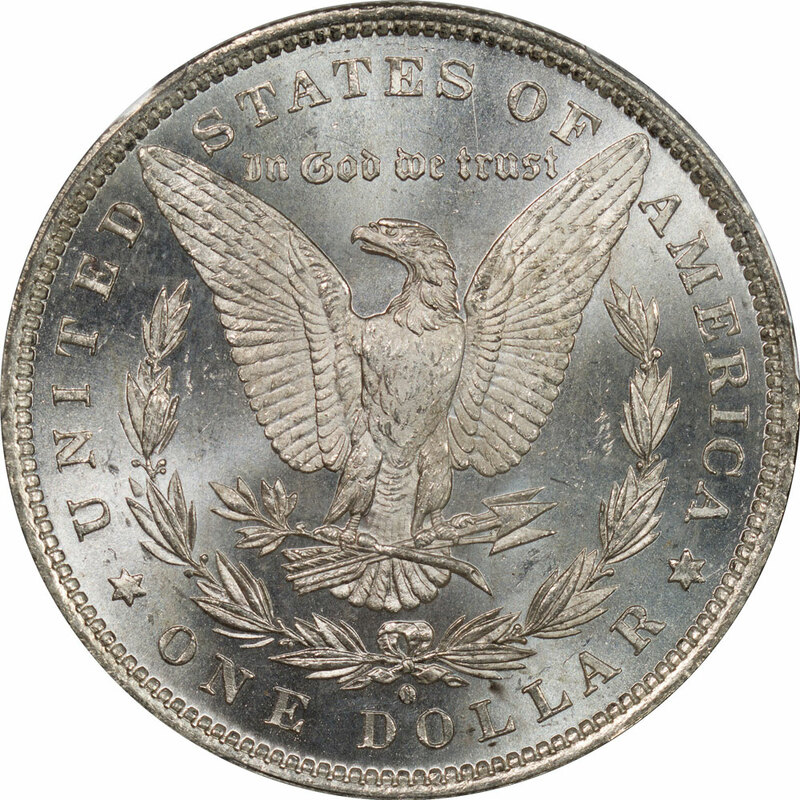 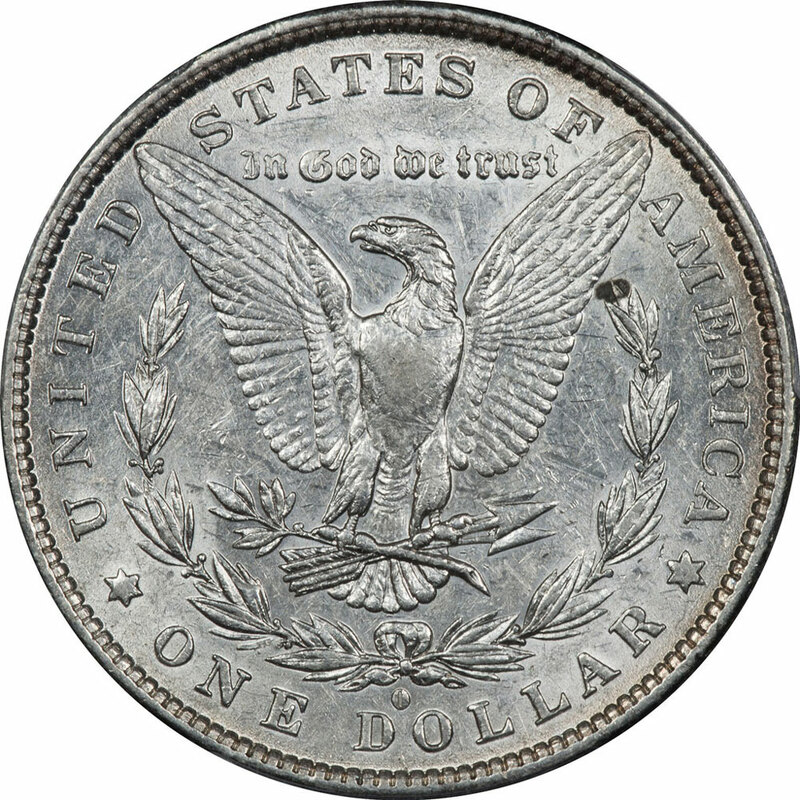 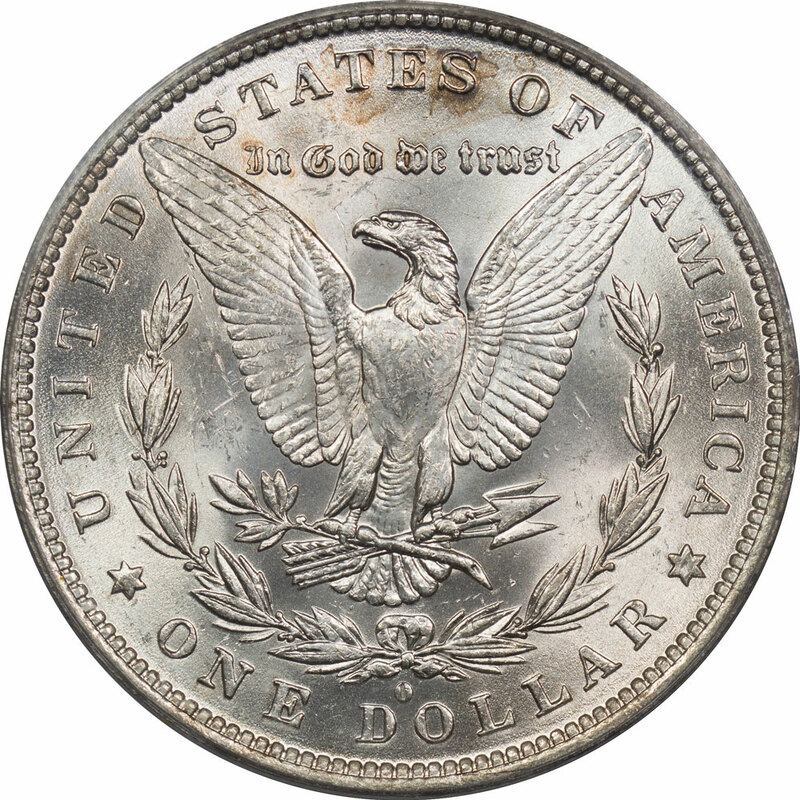 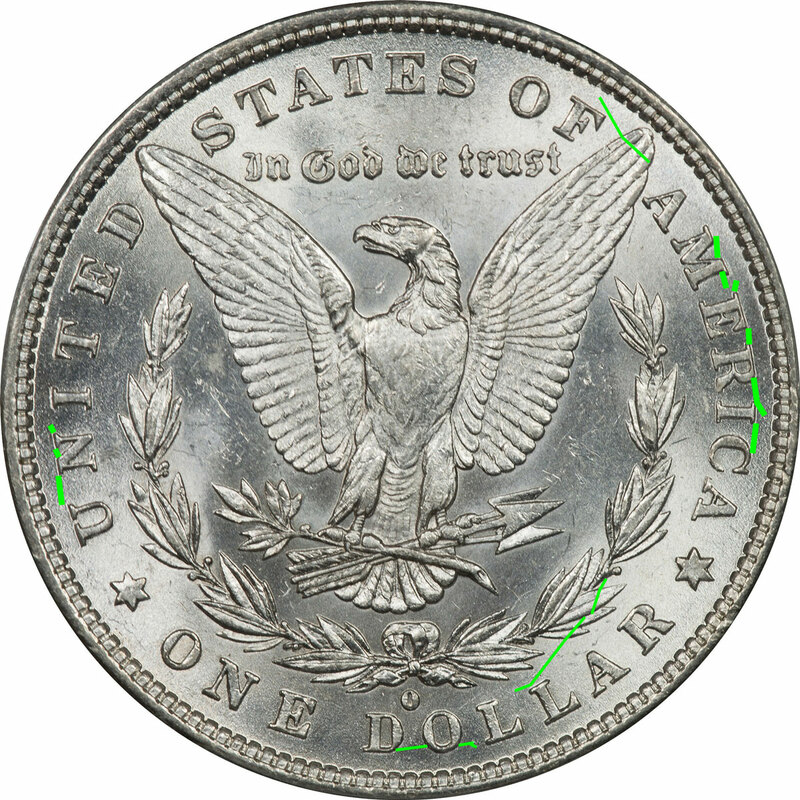 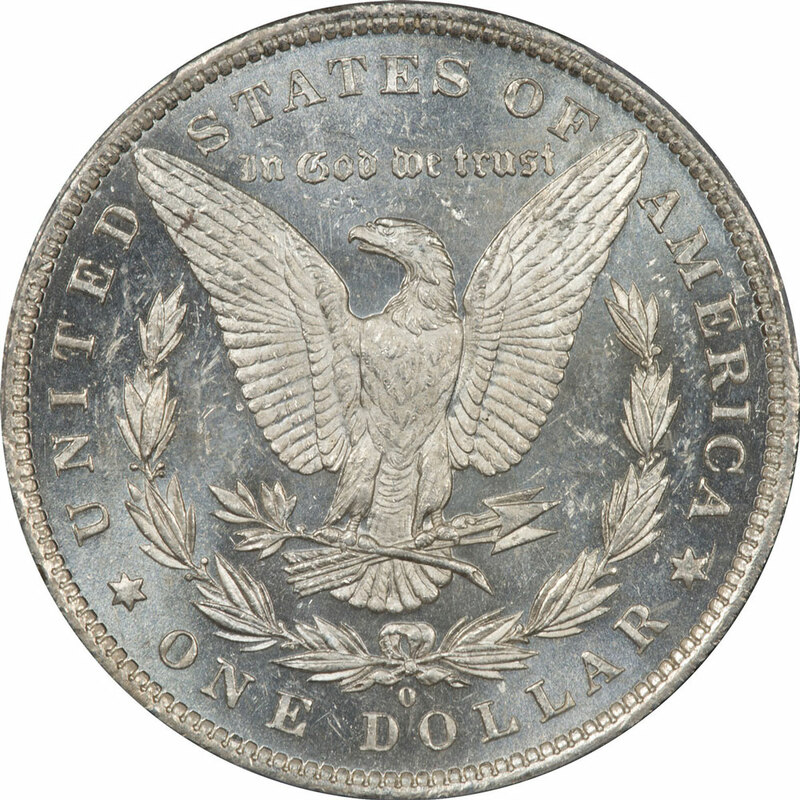 It is paired with an Obverse Die 1 to form VAM 7 and Obverse Die 30 to form VAM 45. Reverse Die g appears with VAMs 9.1 and 46.